Taken from The Roman Ritual – 1952 A.D.
1. A priest — one who is expressly and particularly authorized by the Ordinary — when he intends to perform an exorcism over persons tormented by the devil, must be properly distinguished for his piety, prudence, and integrity of life. He should fulfill this devout undertaking in all constancy and humility, being utterly immune to any striving for human aggrandizement, and relying, not on his own, but on the divine power. Moreover, he ought to be of mature years, and revered not alone for his office but for his moral qualities. 2. In order to exercise his ministry rightly, he should resort to a great deal more study of the matter (which has to be passed over here for the sake of brevity), by examining approved authors and cases from experience; on the other hand, let him carefully observe the few more important points enumerated here. 3. Especially, he should not believe too readily that a person is possessed by an evil spirit; but he ought to ascertain the signs by which a person possessed can be distinguished from one who is suffering from some illness, especially one of a psychological nature. (From the emended text of the 1952 edition.) SIGNS OF POSSESSION MAY BE THE FOLLOWING: ability to speak with some facility in a strange tongue or to understand it when spoken by another; the faculty of divulging future and hidden events; display of powers which are beyond the subject’s age and natural condition; and various other indications which, when taken together as a whole, build up the evidence. 4. In order to understand these matters better, let him inquire of the person possessed, following one or the other act of exorcism, what the latter experienced in his body or soul while the exorcism was being performed, and to learn also what particular words in the form had a more intimidating effect upon the devil, so that hereafter these words may be employed with greater stress and frequency. 5. He will be on his guard againt the arts and subterfuges which the evil spirits are wont to use in deceiving the exorcist. For oftentimes they give deceptive answers and make it difficult to understand them, so that the exorcist might tire and give up, or so it might appear that the afflicted one is in no wise possessed by the devil. 6. Once in a while, after they are already recognized, they conceal themselves and leave the body practically free from every molestation, so that the victim believes himself completely delivered. Yet the exorcist may not desist until he sees the signs of deliverance. 7. At times, moreover, the evil spirits place whatever obstacles they can in the way, so that the patient may not submit to exorcism, or they try to convince him that his affliction is a natural one. Meanwhile, during the exorcism they cause him to fall asleep, and dangle some illusion before him, while they seclude themselves, so that the afflicted one appears to be freed. 8. Some reveal a crime which has been committed and the perpetrators thereof, as well as the means of putting an end to it.Yet the afflicted person must beware of having recourse on this account to sorcerers or necromancers or to any parties except the ministers of the Church, or of making use of any superstitious or forbidden practice. 9. Somentimes the devil will leave the possessed person in peace and even allow him to receive the holy Eucharist, to make it appear that he has departed. In fact, the arts and frauds of the evil one for deceiving a man are innumerable. For this reason the exorcist must be on his guard not to fall into this trap. 10. Therefore, he will be mindful of the words of our Lord (Mt. 17:20), to the efect that there is a certain type of evil spirit who cannot be driven out except by prayer and fasting. Therefore, let him avail himself of these two means above all for imploring the divine assistance in expelling demons, after the example of the holy fathers; and not only himself, but let him induce others, as far as possible, to do the same. 11. If it can be done conveniently the possessed person should be led to church or to some other sacred and worthy place, where the exorcism will be held, away from the crowd. But if the person is ill, or for any valid reason, the exorcism may take place in a private home. 12. The subject, if in good mental and physical health, should be exhorted to implore God’s help, to fast, and to fortify himself by frequent reception of penance and holy communion, at the discretion of the priest. And in the course of the exorcism he should be fully recollected, with his intention fixed on God, whom he should entreat with firm faith and in all humility. And if he is all the more grievously tormented, he ought to bear this patiently, never doubting the divine assistance. 13. He ought to have a crucifix at hand or somewhere in sight. If relics of the saints are available, they are to be applied in a reverent way to the breast or the head of the person possessed (the relics must be properly and securely encased and covered). One will see to it that these sacred objects are not treated improperly or that no injury is done them by the evil spirit. However, one should not hold the holy Eucharist over the head of the person or in any way apply it to his body, owing to the danger of desecration. 14. The exorcist must not digress into senseless prattle nor ask superfluous questions or such as are prompted by curiosity, particularly if they pertain to future and hidden matters, all of which have nothing to do with his office. Instead, he will bid the unclean spirit keep silence and answer only when asked. Neither ought he to give any credence to the devil if the latter maintains that he is the spirit of some saint or of a deceased party, or even claims to be a good angel. 15. But necessary questions are, for example: the number and name of the spirits inhabiting the patient, the time when they entered into him, the cause thereof, and the like. As for all jesting, laughing, and nonsense on the part of the evil spirit — the exorcist should prevent it or contemn it, and he will exhort the bystanders (whose number must be very limited) to pay no attention to such goings on; neither are they to put any question to the subject. Rather they should intercede for him to God in all humility and urgency. 16. Let the priest pronounce the exorcism in a commanding and authoritative voice, and at the same time with great confidence, humility, and fervor; and when he sees that the spirit is sorely vexed, then he oppresses and threatens all the more. If he notices that the person afflicted in sxperiencing a disturbance in some part of his body or an acute pain or a swelling appears in some part, he traces the sign of the cross over that place and sprinkles it with holy water, which he must have at hand for this purpose. 17. He will pay attention as to what words in particular cause the evil spirits to tremble, repeating them the more frequently. And when he comes to a threatening expression, he recurs to it again and again, always increasing the punishment. If he perceives that he is making progress, let him persist for two, three, four hours, and longer if he can, until victory is attained. 18. The exorcist should guard against giving or recommending any medicine to the patient, but should leave this care to physicians. 19. While performing the exorcism over a woman, he ought always to have assisting him several women of good repute, who will hold on to the person when she is harassed by the evil spirit. These assistants ought if possible to be close relatives of the subject, and for the sake of decency the exorcist will avoid saying or doing anything which might prove an occasion of evil thoughts to himself or to the others. 20. During the exorcism he shall preferably emply words from Holy Writ, rather than forms of his own or of someone else. He shall, moreover, command the devil to tell whether he is detained in that body by necromancy, by evil signs or amulets; and if the one possessed has taken the latter by mouth, he should be made to vomit them; if he has them concealed on his person, he should expose them; and when discovered they must be burned. Moreover, the person should be exhorted to reveal all his temptations to the exorcist. 21. Finally, after the possessed one has been freed, let him be admonished to guard himself carefully against falling into sin, so as to afford no opportunity to the evil spirit of returning, lest the last state of that man become worse than former. There has been some debate over my recent appearance on Ghost Adventures where I help release a demonic attachment over a gentleman who has suffered for many years with what was identified to be a demonic oppression. 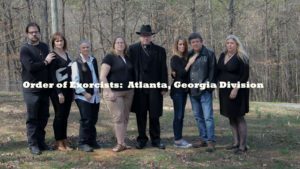 While most of the public response to this episode has been exceptionally positive, I wanted to address some concerns that have been posted on social media regarding the exorcism’s validity and whether or not we had the approval of the Vatican to perform it. The Holy Nicholean Catholic Church and Order of Exorcists are able to help all people from all denominations and religions. The Roman Catholic Church typically reserves the Rite of Exorcism for only long-standing Roman Catholics. The Holy Nicholean Catholic Church and Order of Exorcists are not bound by any political “red tape” that often leaves victims suffering from a demonic attack for months or even years before one is approved. In the Order of Exorcists, each bishop runs his own jurisdiction and makes the final call as to when an exorcism is required through collaboration with the Chief Exorcist. The Holy Nicholean Catholic Church and Order of Exorcists have not been diluted by the modern secularization of the Christian Faith, where many Roman Catholic priests no longer believe in Satan. In fact, many now contend that psychology and psychiatry have replaced the need for exorcism, choosing to assume that demonic possession is a vestige spawned out of the scientific ignorance of antiquity. While we do recognize that in many cases, what seems like a demonic attack is often nothing beyond that of mental illness, we firmly reject any notion that mental illness is ALWAYS the explanation. The demonic attack remains as much of a prolific problem today as it did in Biblical times. Nothing here has changed. Satan must always be dealt with and that is rather difficult to accomplish if you no longer recognize his existence. The Holy Nicholean Catholic Church and Order of Exorcists draw from modern paranormal research and technology, so as to expedite a solution for our clients. The Roman Catholic Church, however, continues to play guessing games that can often drag out for years. In fact, sometimes we get called by the families of victims of demonic possession who are currently undergoing Roman Catholic exorcism because they are reporting no improvement, sometimes even after years of receiving exorcism. In the Holy Nicholean Catholic Church, we are often able to resolve a demonic attack in one visit. This is not to say that the Roman Catholic Church is not effective, but rather to illustrate how successful our own particular methodology is once one is free to expand upon the existing Roman Catholic system. Lastly, the Holy Nicholean Catholic Church has been able to dedicate its entire function to deliverance and exorcism ministry. We are not preoccupied with other responsibilities that can detract from the success of our work like one would see in the larger canonical churches. I would also like to mention something for the sake of clarity. What I performed on Ghost Adventures was a ‘Solemn Blessing of a Sick Person’ (to break the attachment), ‘the Rite of Eucharist Outside of Mass’ (to reinforce the solemn blessing), and a ‘Rite of Minor Exorcism’ for the identified cursed object (so as to eliminate the source of the attachment). This was not a Solemn Rite of Exorcism and so the usual preparations we do for such situations was not necessary in this particular case. What you saw on television was a very severe demonic oppression, but not a possession. While it was one of the most difficult exorcisms I have performed to date, it was successful, and that’s what matters. 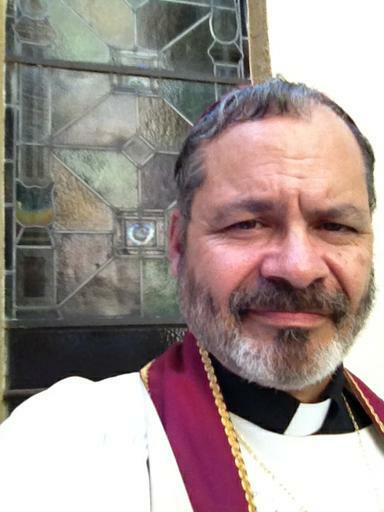 Presiding Bishop Holy Nicholean Catholic Church Exorcist Bishop International Director for Clergy Recruitment Sacred Order of St. Michael the Archangel (Order of Exorcists). 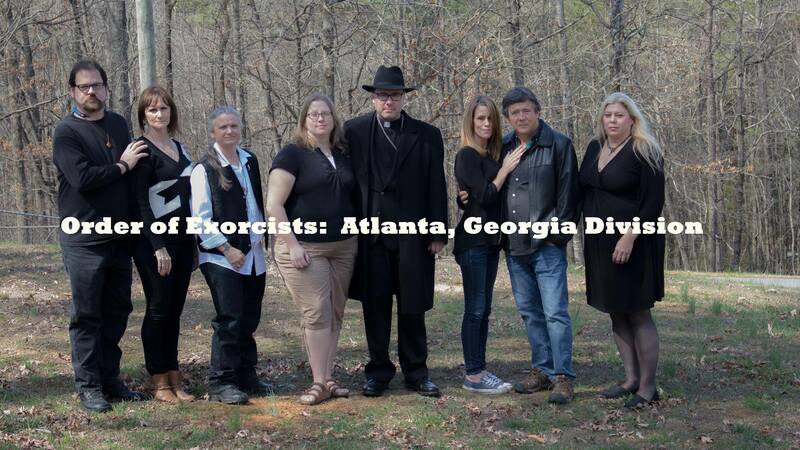 We have been recruiting members for the Order of Exorcists via internet, from around the world. Many members are priests and bishops from many jurisdictions. Paranormal Investigators who join the Order become “Exorcist Investigators”. They make first contact with people who claim they have symptoms of demonic possession. Our Exorcist Investigators would submit an “Assessment report” to the Chief Exorcist for further action.